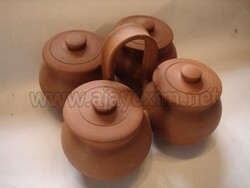 Clay Condiment Set made with natural clay. Our company has stocked in a wide range of food serving equipment such as condiment pots, bar accessories and many more. Our Clients Can Avail from Us a Wide Range of Revolving Stand That is Manufactured Using State-of-the-art Machines and Latest Technology. These Are Used for Storing Fruits and Other Food Items. in Addition, Our Range of Revolving Stand Can Also Be Used as a Showpiece. Manjhi Condiment Dish, Size: 10" X 7" X 4"
Metal Kraft Pine Wood Pw Condiment Set, Size: 10" X 10"
Our company holds vast experience in this domain and is involved in offering Stainless Steel Condiment Set. 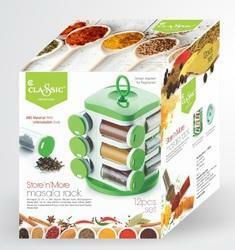 We are engaged in offering New Polo Pop-Up Spice Rack Set - NPOLO.